Paul Gulacy is an American comic book illustrator. Gulacy is best known for his work on Marvel Comics' classic 1970s Shang-Chi: Master of Kung Fu and the Marvel Max 2002 revival Master of Kung Fu, both with writer Doug Moench. 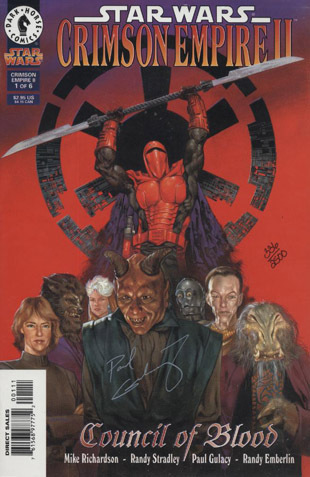 Among the many other titles Gulacy has drawn, in his characteristic neo-Steranko style, are Batman: Prey, Green Lantern: Dragon Lord, Batman: Outlaws, Star Wars: Crimson Empire, and Catwoman as well as two later series with Moench, Slash Maraud and Six from Sirius, and one of the first American graphic novels, Eclipse Enterprises' 1978 Sabre: Slow Fade of an Endangered Species, with writer Don McGregor.